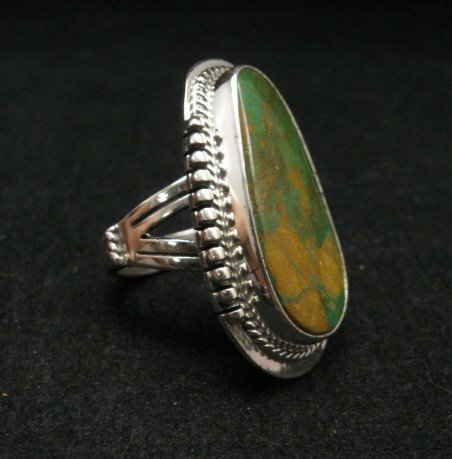 Navajo John Nelson created this classic sterling silver ring, set with a beautifully polished Crow Springs Turquoise stone. The natural stone is a lovely green tone color with pretty tan and brown matrix. 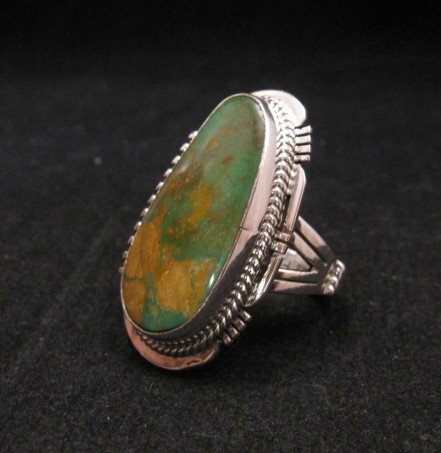 The stone is set in a deep bezel with a carved setting. The ring measures approximately 1-3/8 long by 7/8 wide. Weighs 15.7 grams. Size 9. Brand new and in perfect condition. Gift Box and Certificate of Authenticity included. 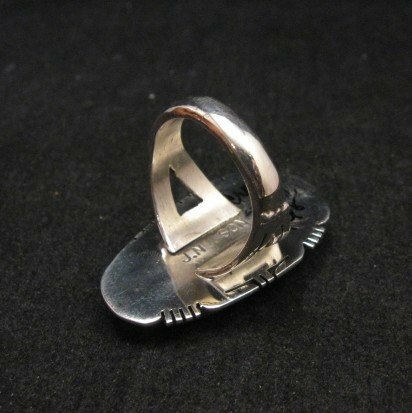 Hallmarked by the artist and stamped Sterling. Crow Springs Turquoisewas discovered in 1909 near Tonopah, Nevada. This mine produces a high percentage of green tone turquoise with pretty tan and brown matrix - like this stone. The Crow Springs mine has gone through several owners and several periods of inactivity. 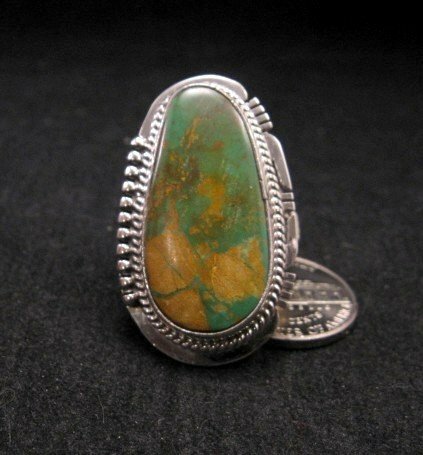 The mine has re-opened recently and because it is not frequently mined, Crow Springs turquoise is considered very collectible.